Professor Stefano Brandani, the Chair of Chemical Engineering at the University of Edinburgh, has been awarded one of Italy’s highest honours at a special ceremony at the Italian Consulate General in Edinburgh. 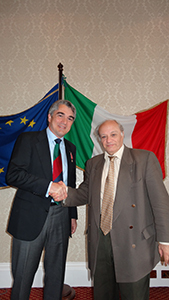 Prof Brandani, who is now officially a Knight of the Order of the Star of Italy (Cavaliere dell'Ordine della Stella d'Italia), was presented with the honour on 23rd April by the Consul General for Scotland and Northern Ireland, Mauro Carfagnini. The order was bestowed by a decree from Italy’s president, Giorgio Napolitano, in recognition of Prof Brandani’s contribution to scientific and technological research. In particular, he has been highly active in assisting the Italian Consulate with the development of close collaborations in the field of carbon capture and storage. The award is the Italian equivalent of one of the honours conferred by Her Majesty The Queen in her New Year honours list, and is conferred each year on 2 June, Italy's Republic Day. Prof Brandani, who leads the Carbon Capture group at the university’s School of Engineering, is also on the Directorate of the research partnership Scottish Carbon Capture & Storage (SCCS). 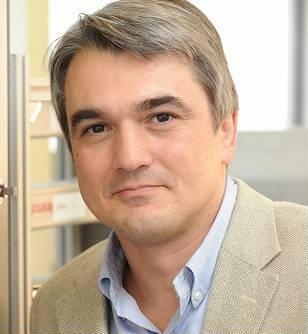 His group focuses on novel carbon capture technologies, including the use of nano-porous materials for adsorption and membrane processes.